The PSOE seems to be suffering a self-confidence crisis. As all the polls point to a huge victory for the conservative Partido Popular in November’s General Election, the Socialists are bracing themselves for heavy losses – with only die-hard loyalists such as José Bono trying to keep the flame of hope alive. Newspaper ABC reports today that PSOE sources are expecting to lose as many as 15 of their 36 seats in Andalusia- traditional socialist heartland. 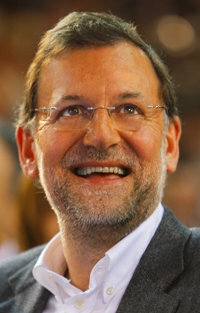 According to the paper, the party leadership is so concerned about the effects of a possible electoral bloodbath in Andalusia ahead of next year’s regional elections in the region that their presidential candidate, Alfredo Pérez Rubalcaba, is making repeated journeys to the area to try and prevent haemorrhage. 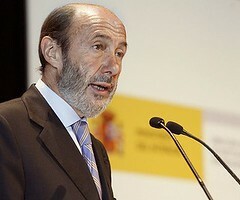 Rubalcaba himself has done little to stem the feeling of despondency in his camp today. When asked about what he will do in the event that his party loses the General Election, he did not dismiss the question as hypothetical as politicians so usually do, but rather said that he would make a decision about his future “on the night” of the election. The PSOE will need to rediscover self-belief, and start emitting confidence – if they do not to see a landslide PP victory in November. Readers will be pleased to hear that after their little spat yesterday over whether it is time for the old guard of the PSOE to stand aside for a new generation, Manuel Chaves and José Bono have publically kissed and made-up. The President of the PSOE and the President of Congress declared themselves to be “great friends” this morning, in a bid to downplay the appearance of rifts at the heart of the socialist party. “Pepe Bono and I are great friends,” Chaves declared at a breakfast meeting this morning, “and sometimes between friends there are unnecessary tiffs”. Their row had come after Bono decided not to put himself forward for re-election at the forthcoming general election, preferring to hand over to a new generation of socialist leaders. 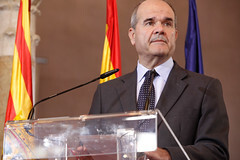 Chaves, the current President of the PSOE and Vice President of the Government, took offence and seemed to accuse Bono and others of throwing in the towel now that victory seems difficult. We noted earlier that serving ministers were jumping ship and not seeking reelection at an alarming rate. As we mentioned before, this emphasises how low morale is in the PSOE camp, and how unlikely victory seems even for those at the very top. 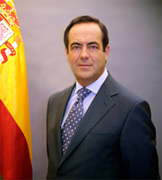 It is also a very poor reflection on their belief in their own presidential candidate, Alfredo Pérez Rubalcaba. “I believe that everyone is needed – including Mr Bono,” he continued. “I am the President of the Socialist Party and I have a responsibility; nobody in my party would understand if I were to give up now”.